Nathan Outlaw's easy seafood canapé recipe might be simple to prepare, but the results are special enough to grace the platters at even the most elegant of parties. 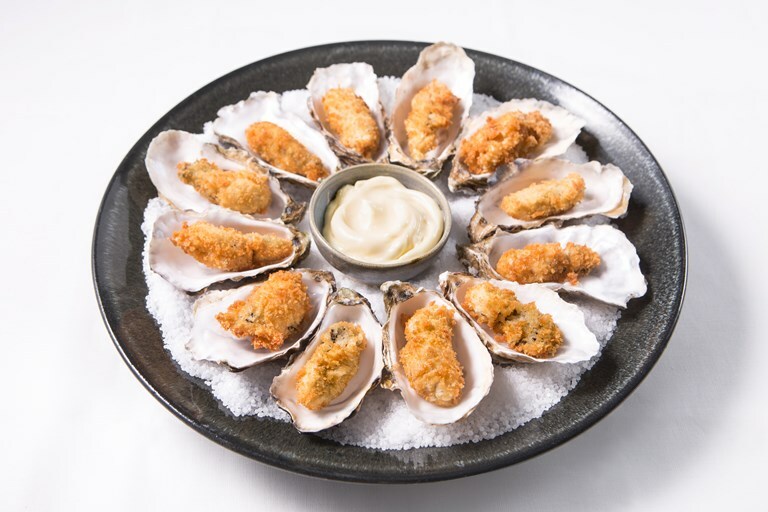 Known for his love of fish and seafood, Nathan lets the oyster really shine with an oyster mayonnaise to accompany the fried oysters, with the focaccia breadcrumbs adding luxurious crunch. Serve on a plate with a bowl of mayonnaise for dipping, or alternatively serve them in their clean shells with a dollop of mayonnaise for extra wow factor.